After unidentified flying objects and bright lights are spotted in the night sky in 1965, a young woman named Jenny Taylor returns home to her sleepy village of Eyam and awakens in the morning to find all the residents of the village have disappeared. 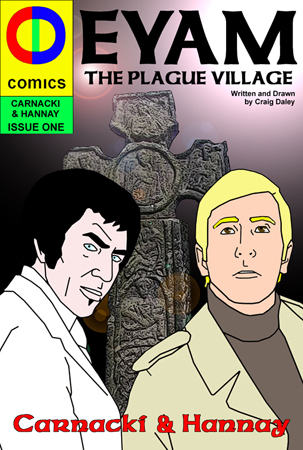 Paranormal expert Thomas Carnacki and MI6 agent Richard Hannay join forces to discover what has happened to the villagers and the link between the disappearance and the plague of Eyam which wiped out three quarters of the village’s population exactly 300 years previously. 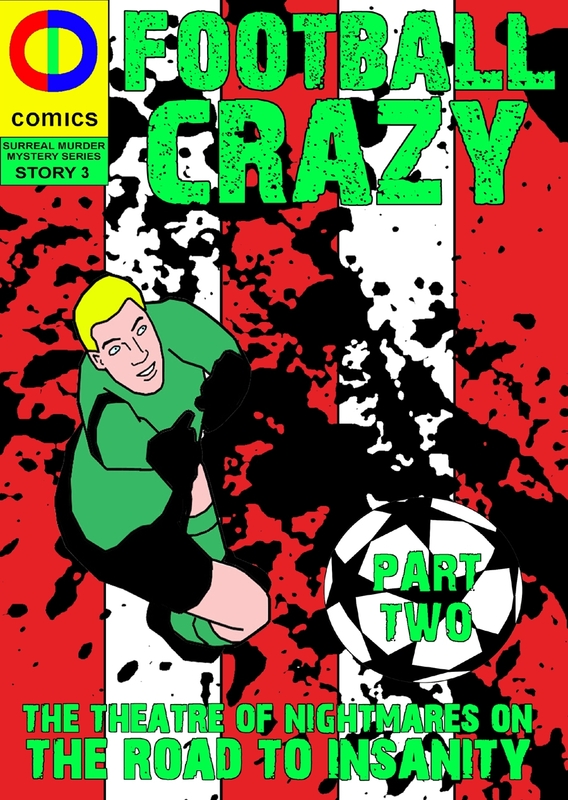 Artist and comic creator Craig Daley combines fact with science fiction to produce an engaging story that has roots in the real-life plague village of Eyam, Derbyshire. Daley spices things up with sighted U.F.O’s and numerous accounts and campaigns from various acting politicians and army chiefs in different periods of time: Winston Churchill, General Joseph Lawton and Lt General Nathan Twining. Like the other comics in CD Comics collection, Daley uses the mystery angle to encourage readers to help discover the comic’s secrets as the protagonists do. There’s plenty of information in this tale to chew on and opens your mind to many events that you may not have been aware of, namely the deadly Eyam plague. The artwork in Carnacki & Hannay is a bit different to that of Daley’s previous creations. Whilst the character artwork is illustrated in the same style fans will be used to, the background scenes and settings are quite grainy looking with shifts in tone and some backgrounds appear to be modified photographs of real images. The illustrated background scenes can look quite messy at times and can distract the reader from the ongoing story. I certainly prefer Daley’s usual simple but detailed imagery to that shown in this comic, but once you get used to the this particular style, you can learn to look past it. Issue One of Carnacki and Hannay ends with a cliffhanger that may give vital clues that will uncover the reason for the mass disappearance. With MI6 agent Hannay not exactly the most trusting in the unorthadox approach of Carnacki, it’ll be interesting to see how their working relationship develops too in the second issue, EYAM: THE PLAGUE VILLAGE – MYSTERY SOLVED.